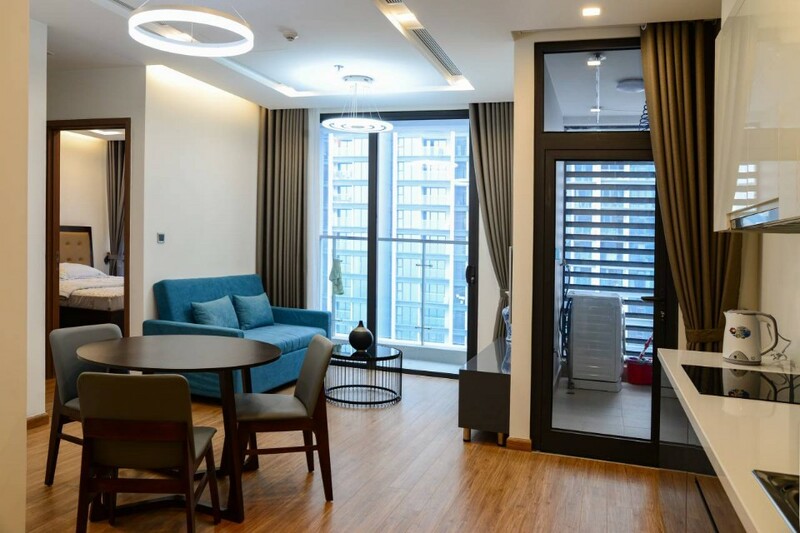 Vinhomes Metropolis apartment for rent locates at 29 Lieu Giai, Ba Dinh, Hanoi. It is next to the Japanese Embassy and the UN office in Hanoi and opposite to Deawoo hotel, Deaha office building and Lotte tower. 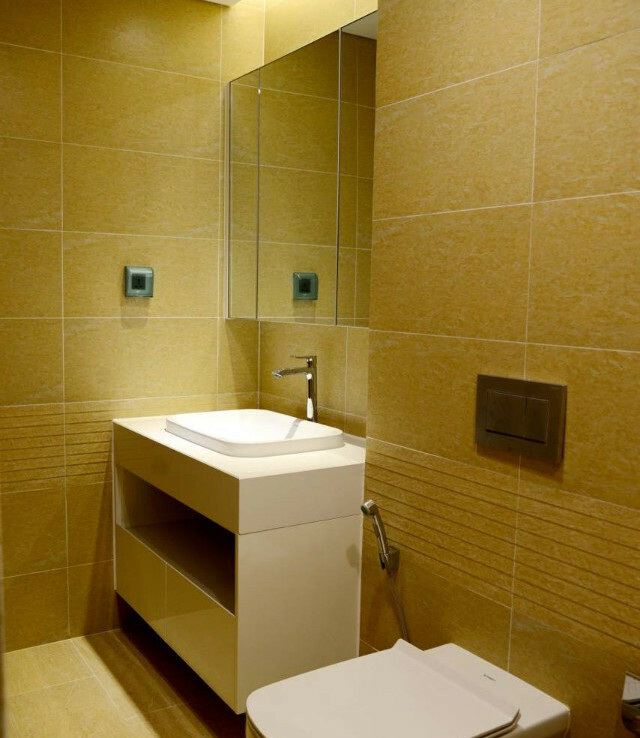 The Vinhomes Metropolis apartment for rent has a total area of 50 sq.m, with 1 bedroom and 1 bathroom. The apartment is on the 31st floor. An open plan living room – kitchen – dining area helps optimize the living space. The apartment is fully furnished with high quality furniture and modern equipment. 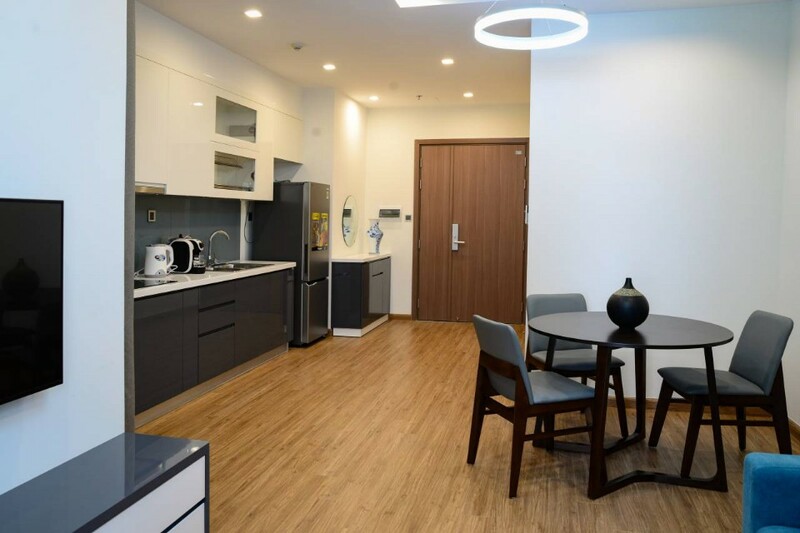 Vinhomes Metropolis has the most convenient location and a full range of facilities, such as international school, shopping mall, swimming pool, fitness center, etc. 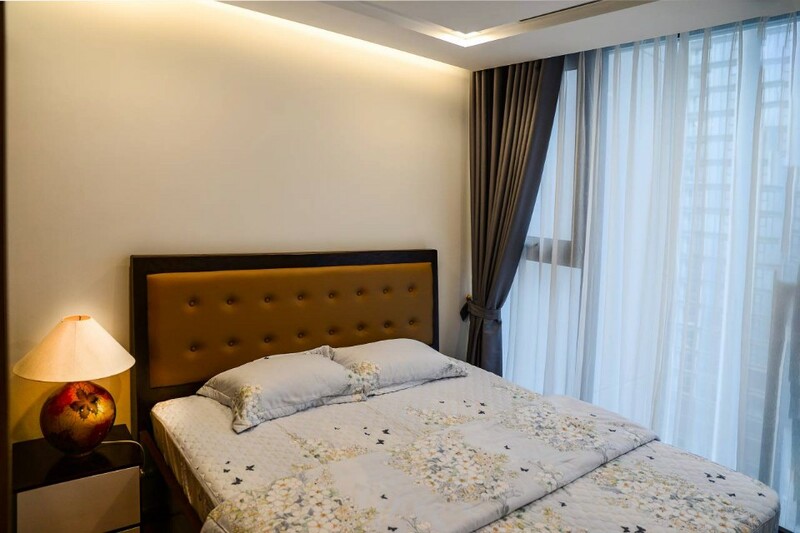 Clean and quiet environment, 24/7 security, shopping mall, supermarket, international school, swimming pool, fitness center, yoga center, movie theater, restaurant, etc.